Synopsis: A Hamburg art restorer is drawn into the world of art forgery, and – convinced he is dying of a rare blood disease – is used by several crooks as a hired hitman. Here’s a movie trivia question you can puzzle your friends with: what is the connection between John Malkovich, Dennis Hopper, Matt Damon and Alain Delon? Answer: they have all played Patricia Highsmith’s sociopath Tom Ripley. Delon played him first in French in “Plein Soleil”, a version of “The Talented Mister Ripley”, later remade in an English-language version by Anthony Minghella, with Matt Damon. Wenders had wanted to make films of several of Highsmith’s novels, only to discover that in each case the film rights had already been sold. He was so persistent that Highsmith was intrigued as to why he so desperately wanted to film one of her books. He travelled to Switzerland to meet her, and she gave him the manuscript of “Ripley’s Game”. Wenders’ adaptation of the book is very loose. Ripley sets the story in motion when he’s insulted by picture-framer Jonathan Zimmerman (Bruno Ganz) at an art auction (Zimmerman has framed the painting for him, and the painting is a fake). With his pride hurt, Ripley spitefully spreads a false rumour that Zimmerman is dying. It also happens that Ripley knows some unsavoury characters, and one of them, Mignot (Gerard Blain), needs a man killed. Ripley points him in the direction of Zimmerman, knowing that the picture-framer needs the money. What follows is an arthouse thriller filled with a lot of dread, filmed in harsh light in Hamburg, Paris and New York. Wenders was unsure how to cast the character of Ripley: he described the character as amoral and a total mystery (and I think, in all honesty, he never got to the meat of the character). At one point he considered casting John Cassavettes before he met Dennis Hopper. Wenders must have wondered what he was letting himself in for: Hopper arrived in Hamburg straight from the Phillipines set of “Apocalypse Now”, still dressed in character as the manic photojournalist, and covered in jungle sores. During filming Wenders would have to wake him up out of a drugged or drunken stupor. Hopper and Ganz had wary respect for each other, and approached acting from opposite philosophies. They settled their differences after a drunken night out that ended in a fistfight. Wenders said afterwards they were the best of friends, and filming became a joy. Hopper gives a very Hopperesque performance as the title character, by which I mean he’s very uneven. This is probably because the character is underwritten, and his motivation is unclear. Is he genuinely envious of Zimmerman’s simple life? He seems to be, and is awed by Zimmerman’s ability to make something with his hands. In contrast, all he can say about his own life is that “I make money,” and “I know less and less about who I am, or who anybody else is.” He plays the man as sad, angry, stupid, conniving, troubled, psychotic, and he improvises an awful lot. Wenders asked Hopper what the most difficult thing to do as an actor is. “Be alone,” he replied, so Wenders deliberately put his character on his own in a large house, and Hopper spends an awful lot of the film walking around it, recording inanities into a tape-recorder. Patricia Highsmith disliked the film at first, but later came to admire it. Hopper’s Ripley is certainly unlike the character in the novel, and nothing at all like the way Delon, Damon and Malkovich played him. Highsmith was reportedly unimpressed with his performance, and in particular hated the cowboy hat. I assume Ripley wears it because it’s an iconic American image. He also drives a very American car, a Ford Thunderbird, in contrast to Zimmerman’s VW Beetle. Highsmith was very impressed, however, with Bruno Ganz as Zimmerman. It was his first film, and he spent weeks studying with a picture framer to get the technicalities correct. I think it’s really Ganz’s film rather than Hopper. With his sad brown eyes and sad, frumpy demeanour, he’s an unusual choice for a hitman, but he bungles his way through the first hit. The assassination takes place on the Paris Metro, and I don’t think it’s an accident that the victim isn’t reading ‘Le Monde’ or ‘Paris Match’; he’s carrying a copy of ‘Liberation’. Will the dying Zimmerman be liberated by the killing, or will he be tormented by it? He is “freed” in a sense by the film’s end, after having struck up an uneasy friendship with Ripley. The gun Ganz shoots was real. He was nervous carrying it, and nervous about whether he could convincingly hold a loaded gun. It turned out Wenders was equally unsure, so on Ganz’s advice, he spent a weekend carrying the loaded weapon around the streets of Paris. It isn’t a coincidence that Wenders’ production company is called Road Movies. Wenders is obsessed with journeys. 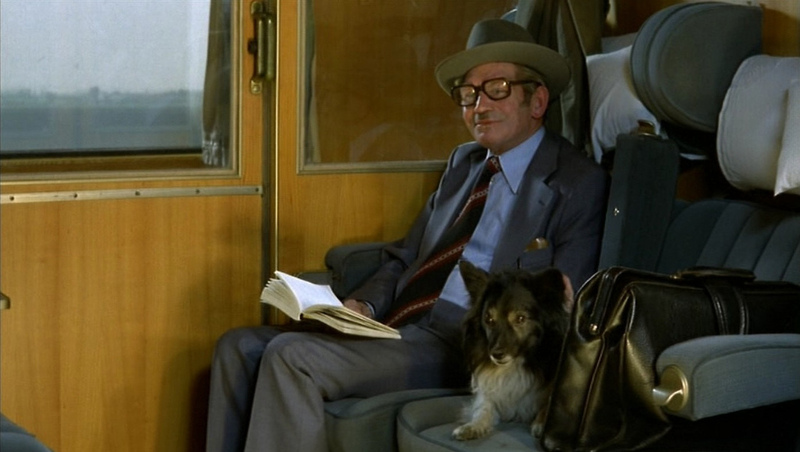 Everyone is going somewhere, and much of the film takes place on the subway, in trains, in airports, in the vast labyrinth of the Paris metro, overlooking zooming cars on Manhattan’s West Side Highway, and in ugly hotel rooms: everyone is a transient. Zimmerman’s son has a picture of a train above his bed as well as a model cable car. Ripley shuttles between Hamburg and New York, but regards the German city as home, even as he’s going through some sort of existential breakdown there. A long, tense sequence involving Hopper and Ganz is shot on a cramped train, and it intercuts between a real train and a studio set. 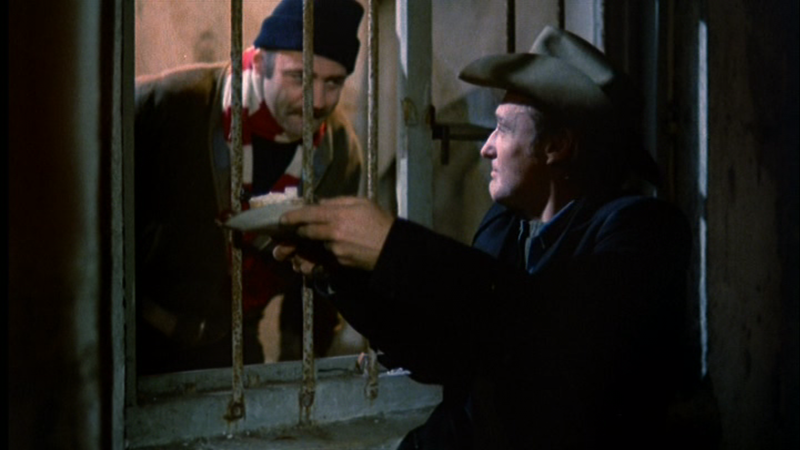 It’s not quite Hitchcock, but it does have one witty moment when Ganz offers a dead man’s ticket to the conductor. The journey motif is continued in the setting of Hamburg: Hamburg, of course, is a port city, and the sound of fog horns and ship horns can always be heard in the distance. The story’s climax takes place by the sea. 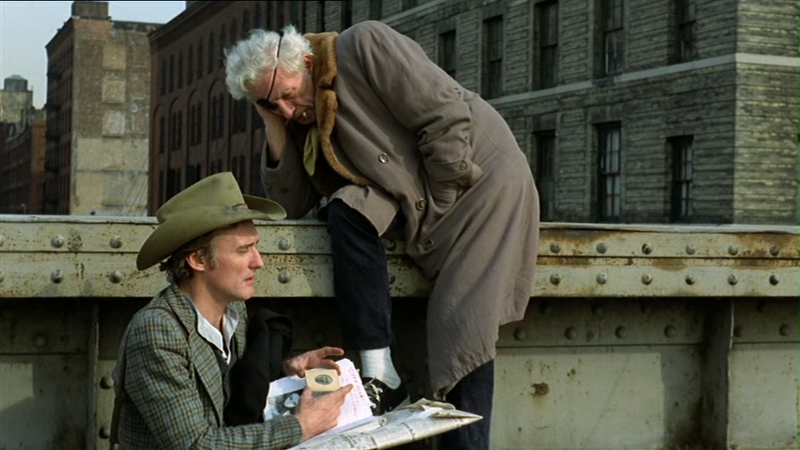 It isn’t a very nice-looking city, and Wenders isn’t interested in beauty shots: he makes New York and Paris look equally glum. Notice, though, that you can see the Statue of Liberty in Paris. His cinematographer, Robby Muller, shoots interiors with a sickly green neon, perhaps to emphasise Zimmerman’s illness. Wenders had an interesting notion when it came time to cast the villains of the piece: they’re all film directors. Wenders joked that directors were the only crooks he knew. So along with Hopper, there is Gerard Blain, Nicholas Ray (who directed Hopper in “Rebel Without A Cause”), Sam Fuller, Daniel Scmid, Jean Eustache, Peter Lilienthal. 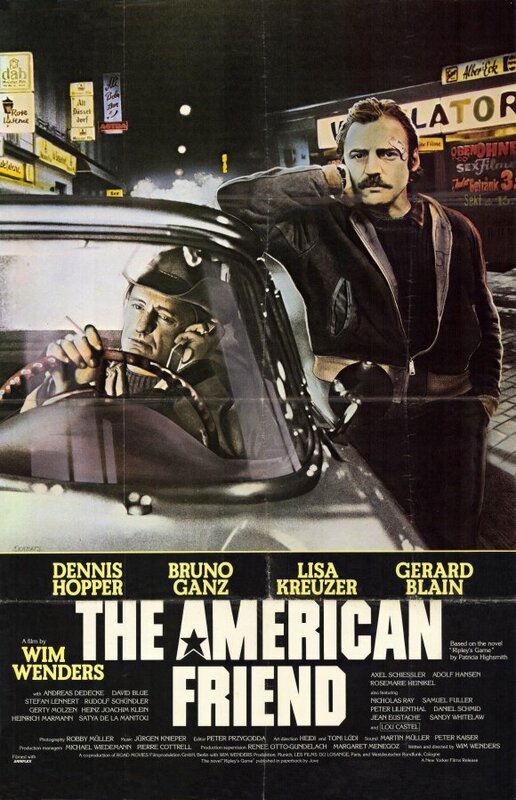 “Der Amerikanische Freund” secured Wenders’ international reputation and was an unlikely box-office hit in Europe; it played in Paris and Madrid cinemas for almost two years. I think you sum up this film really well Niall. Although I generally like Dennis Hopper, I thought his acting in this film was uneven, and that he was miscast. Ganz on the other hand, delivers a wonderful performance, full of subtlety and pathos. I actually prefer Malkovich as Ripley. I feel he ‘gets’ the character better than the others, and it suits his natural coldness. interesting read! I always enjoy hearing about the production history of films, and I’ve come to expect that from this blog. It’s funny how movies about art almost always seem to be movies about crime, isn’t it? That’s a very interesting observation. I think it’s because the cinema lends itself to notions of fakery, because at some level cinema is itself a forgery. Bertolucci said something to the effect that the best artists are somehow criminals. He was talking specifically about Donal McCann, who plays an artist in “Stealing Beauty”. I love Wenders work, but forgot I’d even seen this movie until reading your post. I remember the cinematography in the film is stunning, so many beautiful, gritty images of lonely people in the cities. But it hasn’t stuck with me over the years… Maybe time for a revisit. I saw this recently and while I agree Ganz was very good, I found very little else to enjoy. In fact, I struggled in getting to the end. Great, thoughtful review, though. Looks like an awesome film! 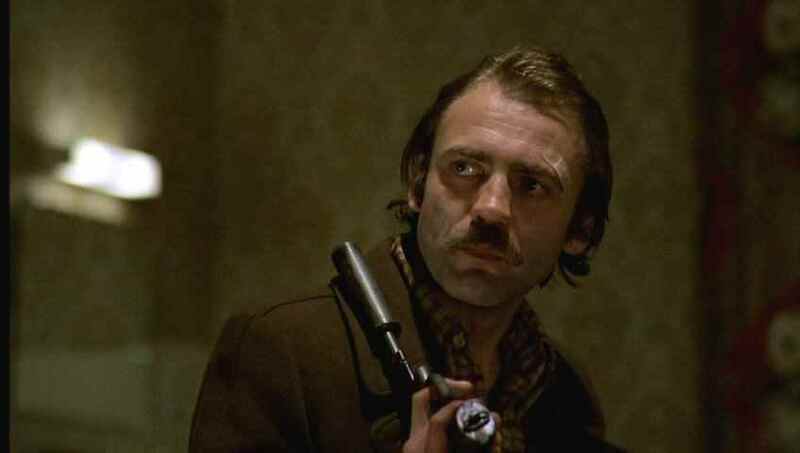 Do remember Kings of the Road with Bruno Ganz and Rudiger Vogler. 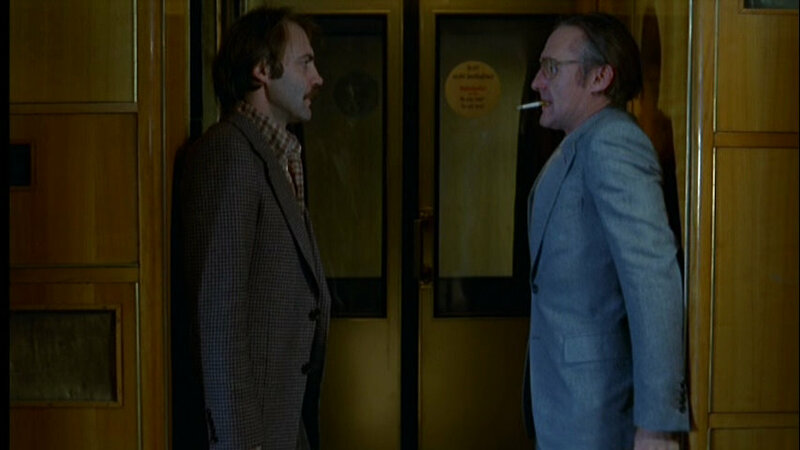 And an appreciation of The American Friend would not be complete without the mention of Robby Müller’s work.